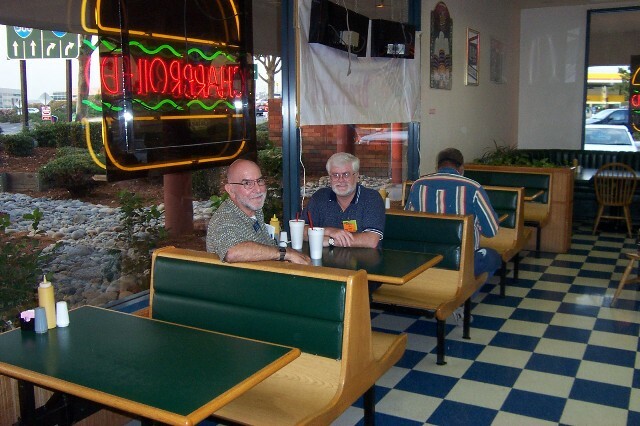 Photos by AL7FS, KE6RS and K6ESE. 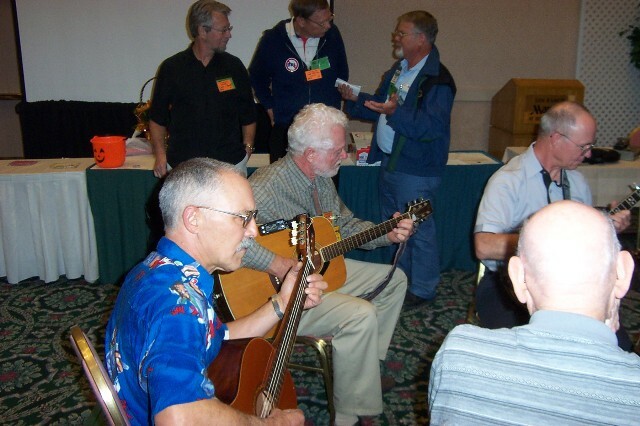 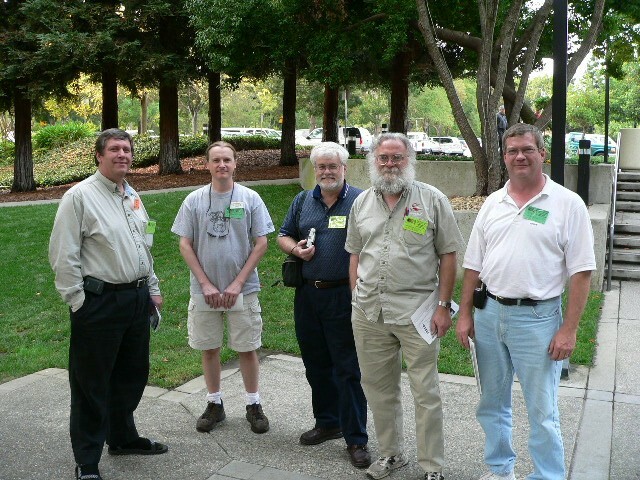 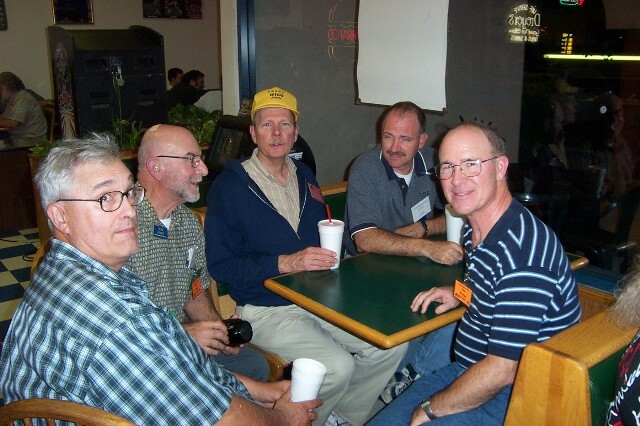 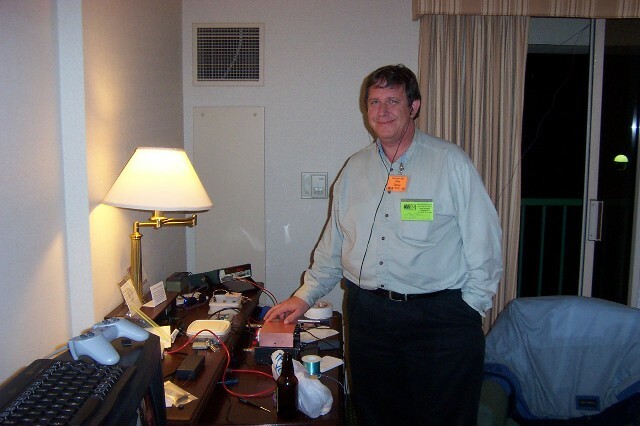 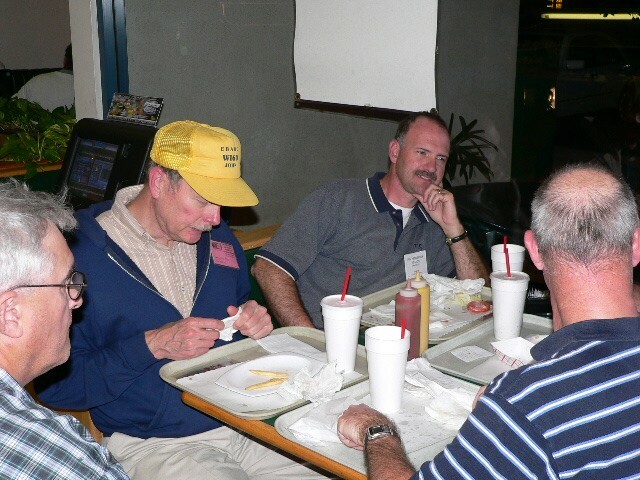 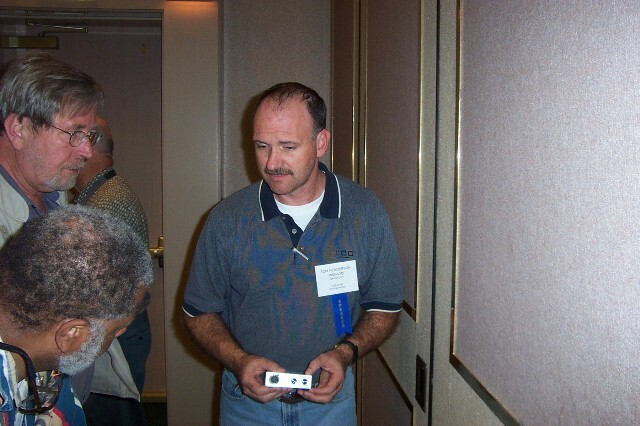 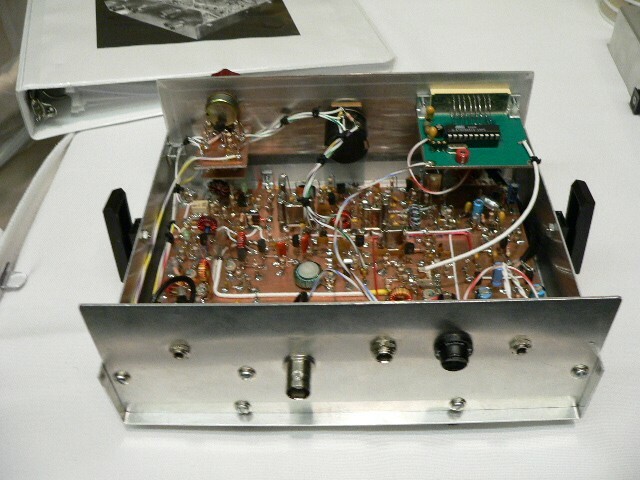 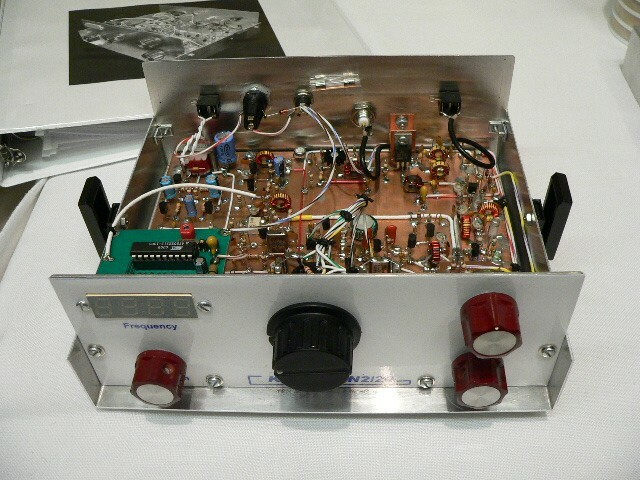 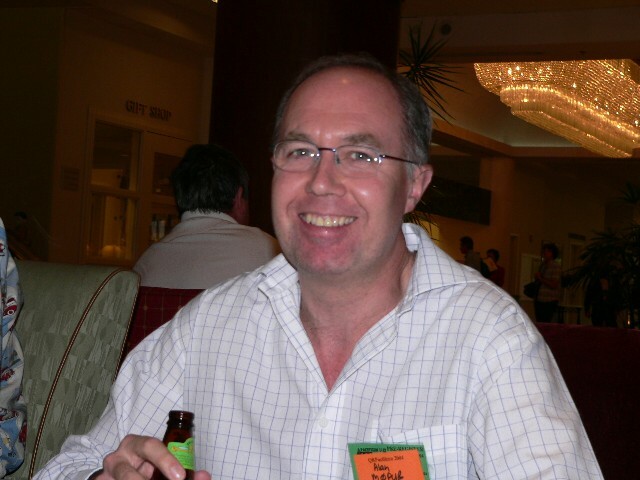 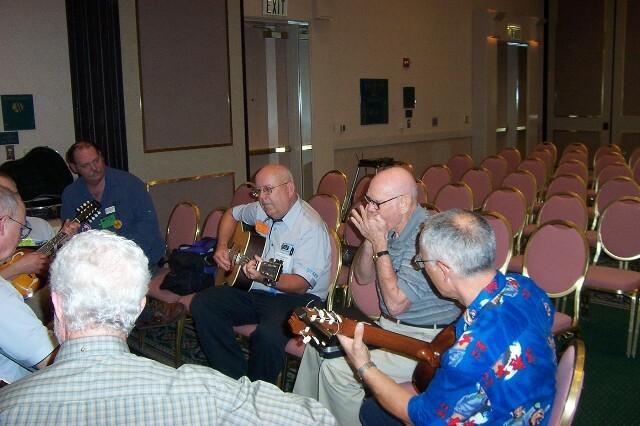 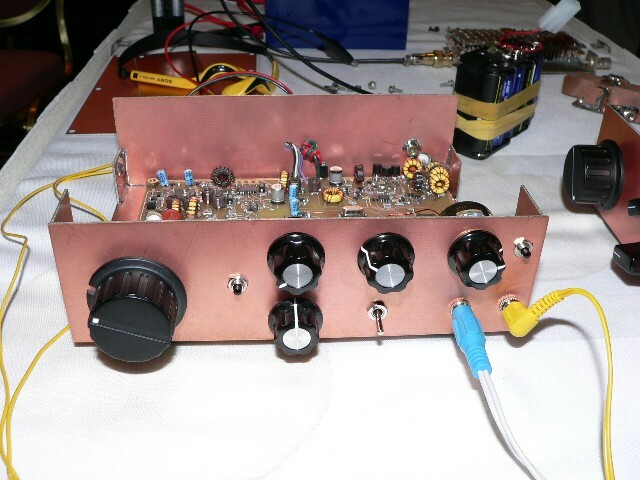 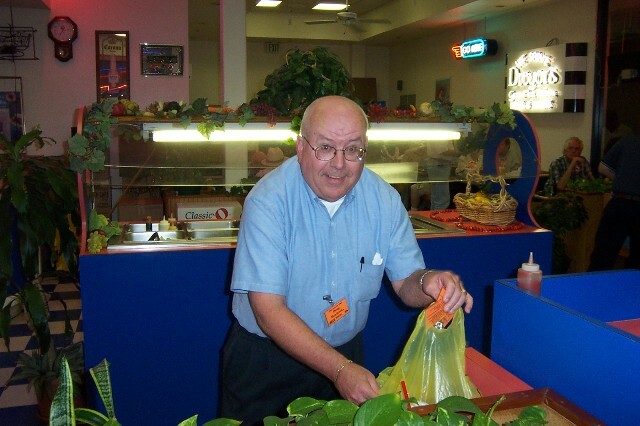 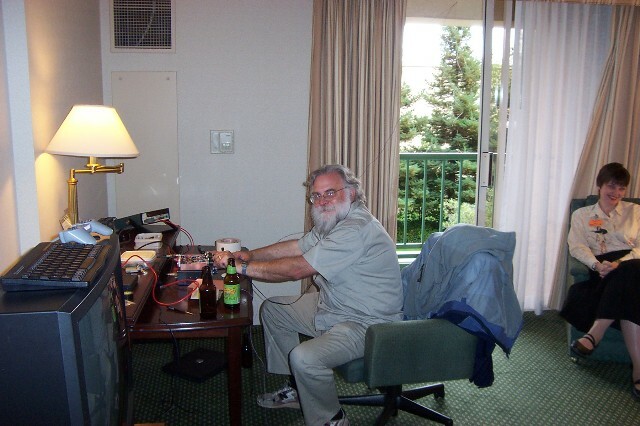 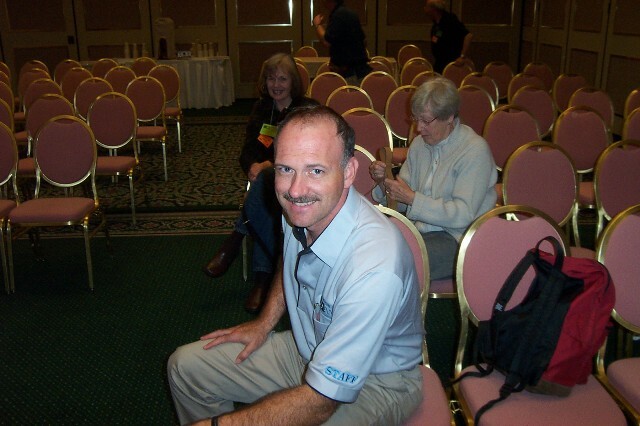 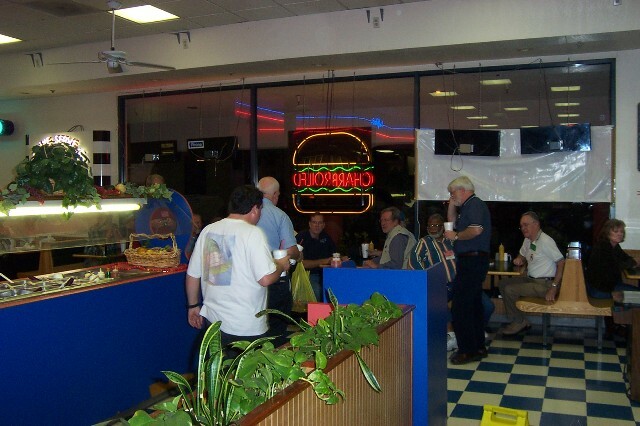 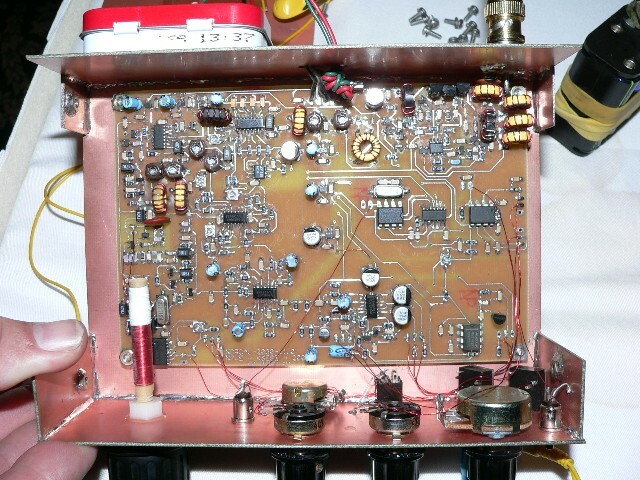 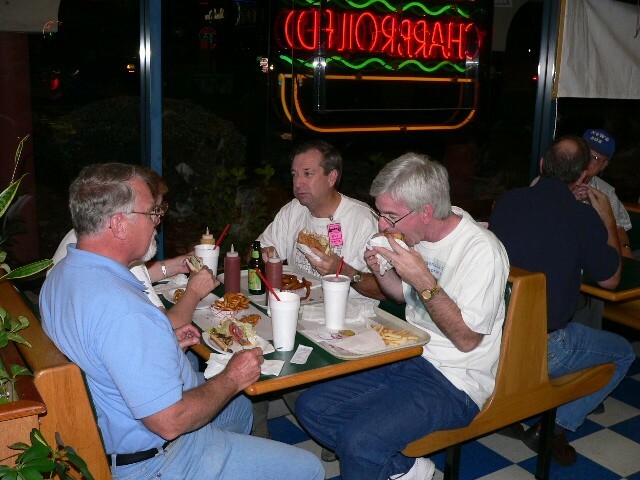 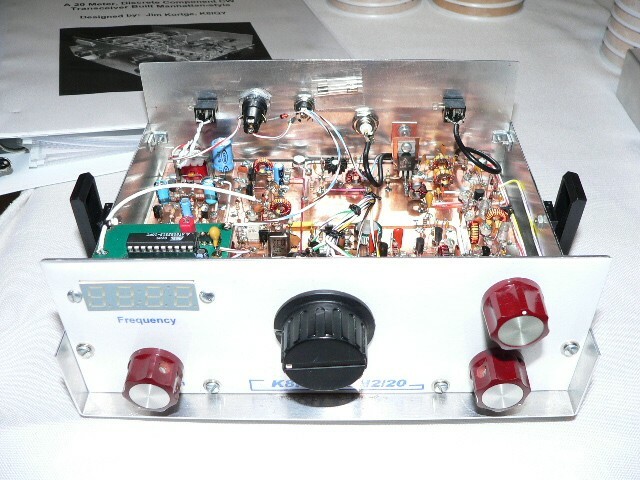 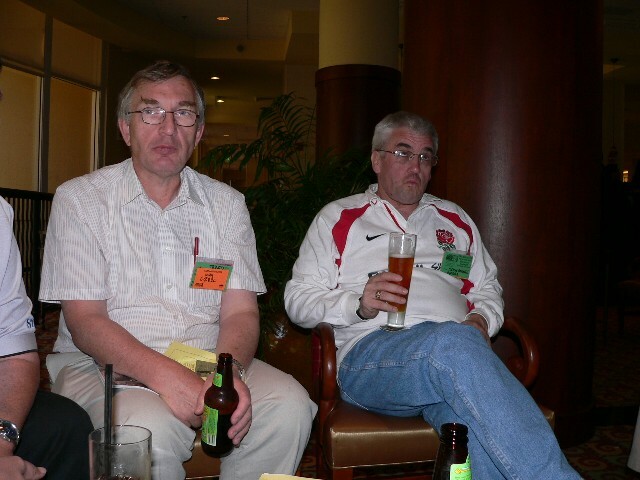 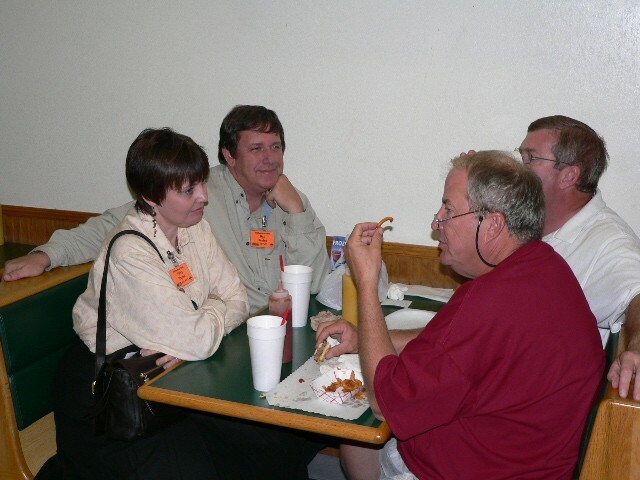 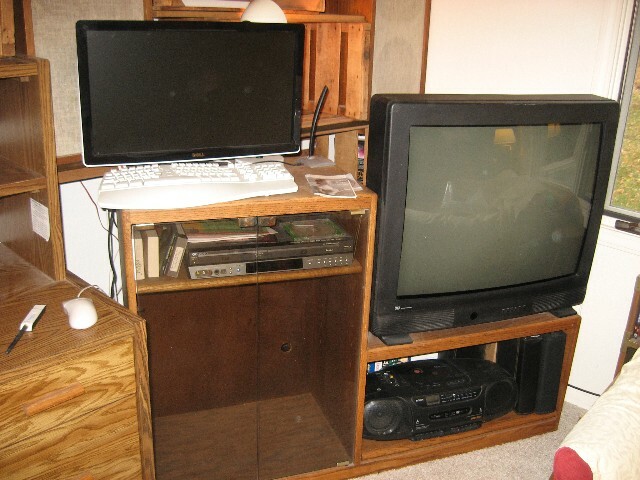 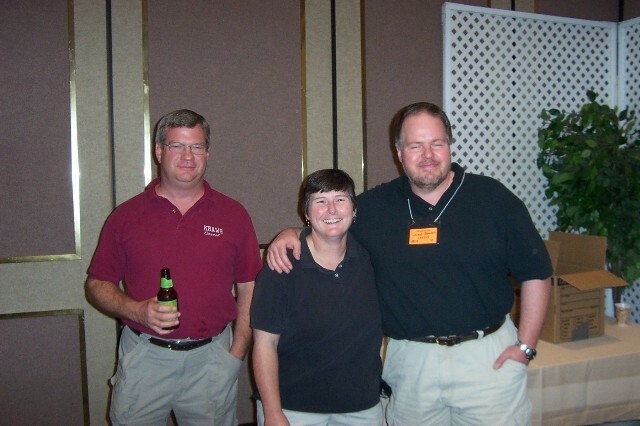 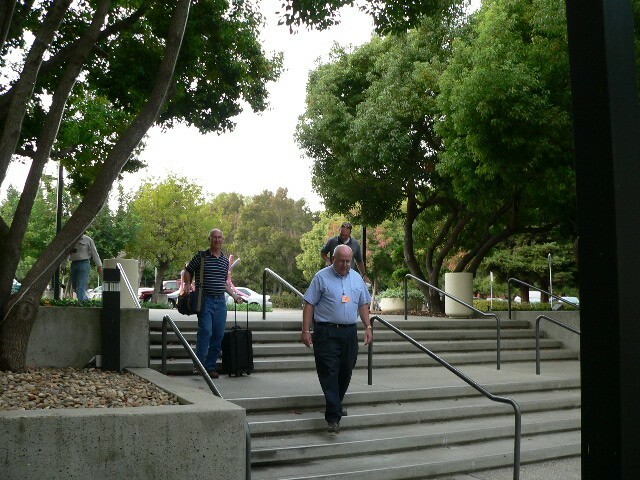 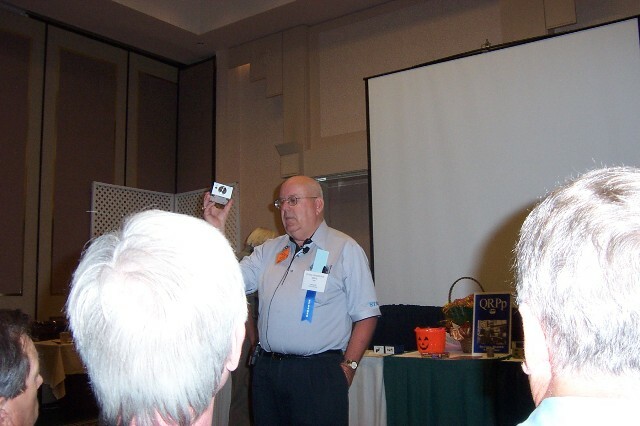 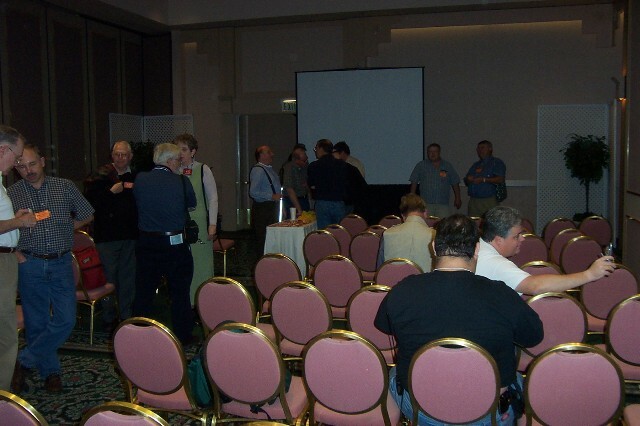 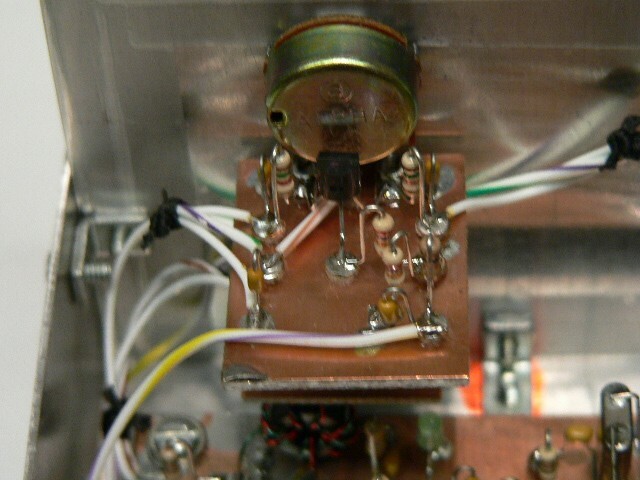 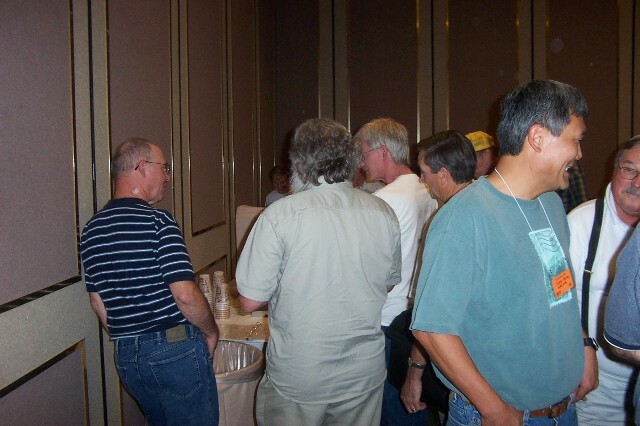 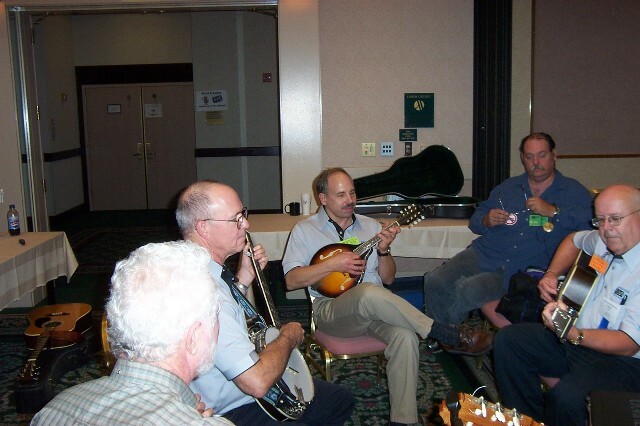 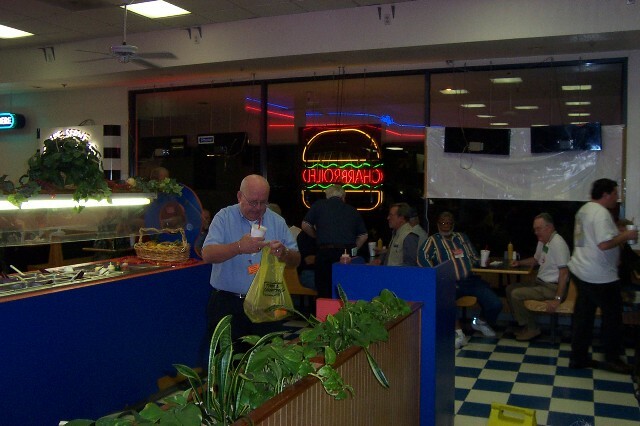 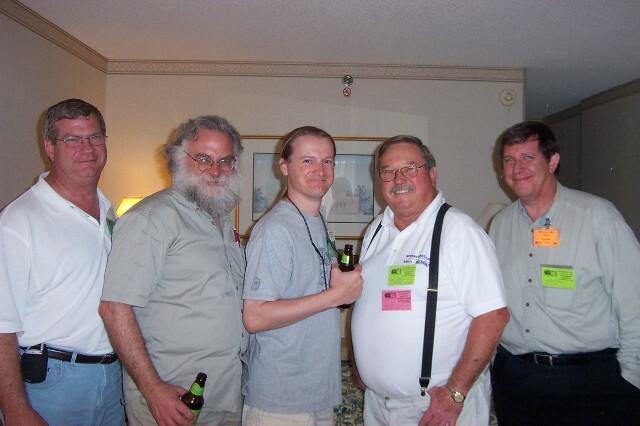 This is a visual recap of the Pacificon 2004 QRP Forum held in San Ramon, CA in October 2004. 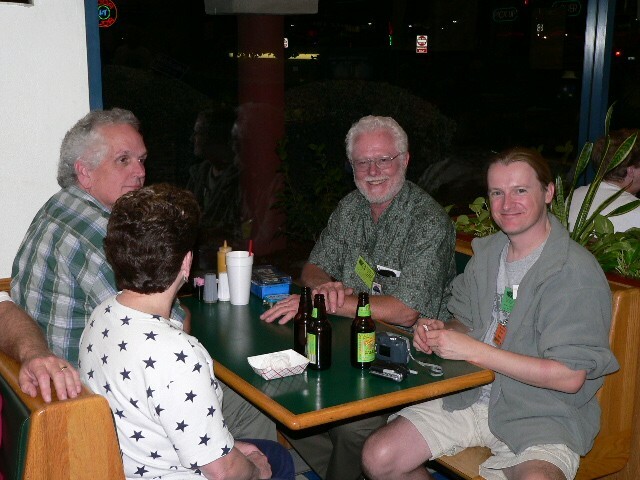 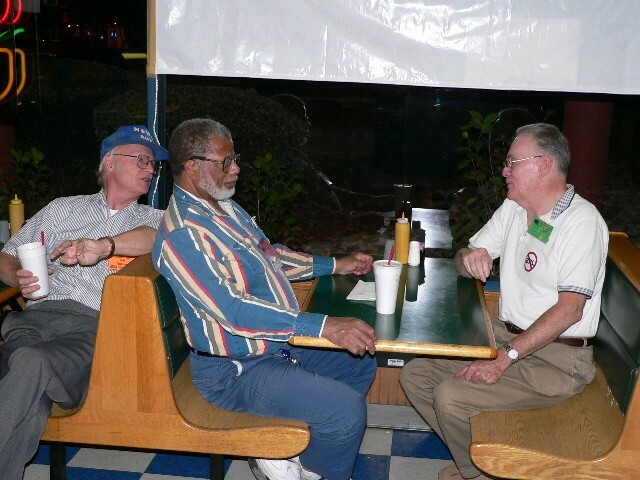 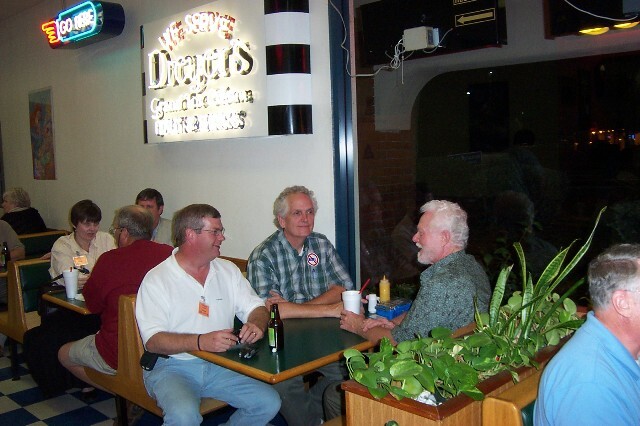 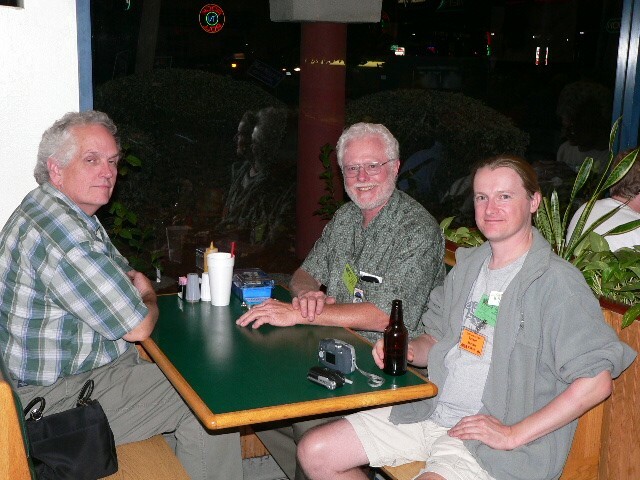 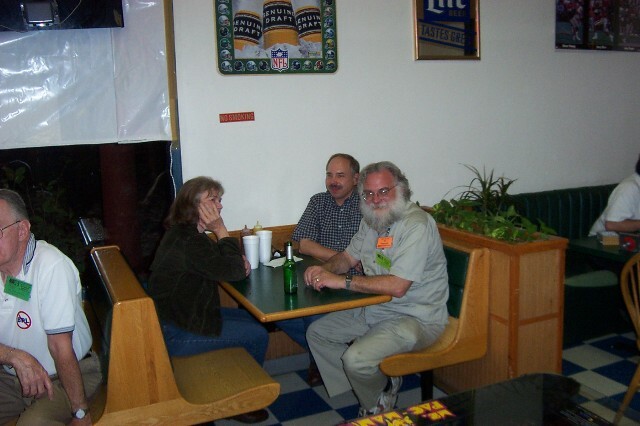 At bar - Jan Verduyn, G0BBL and Steve, G0XAR from UK. 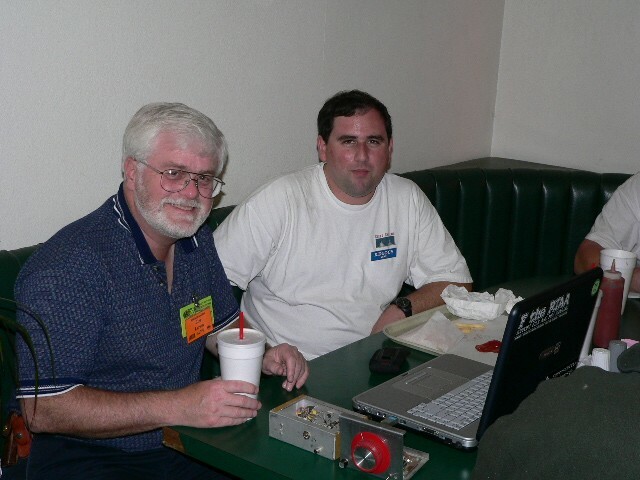 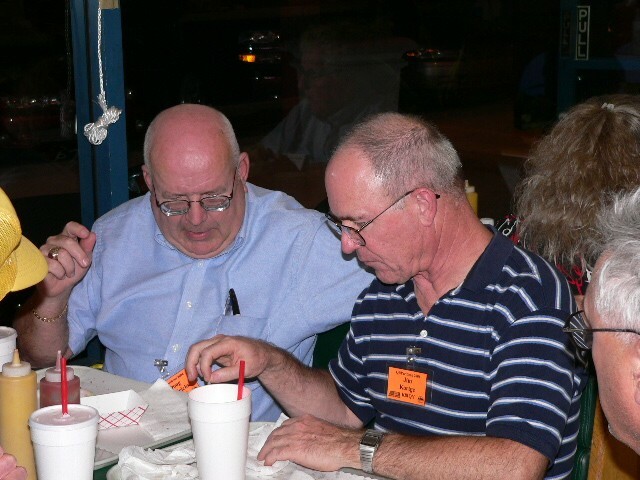 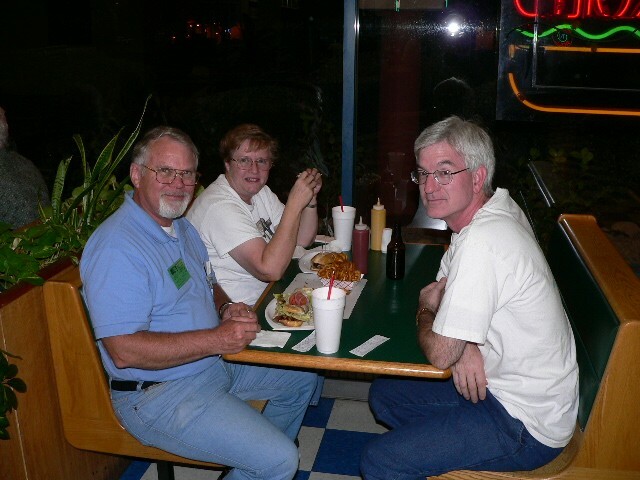 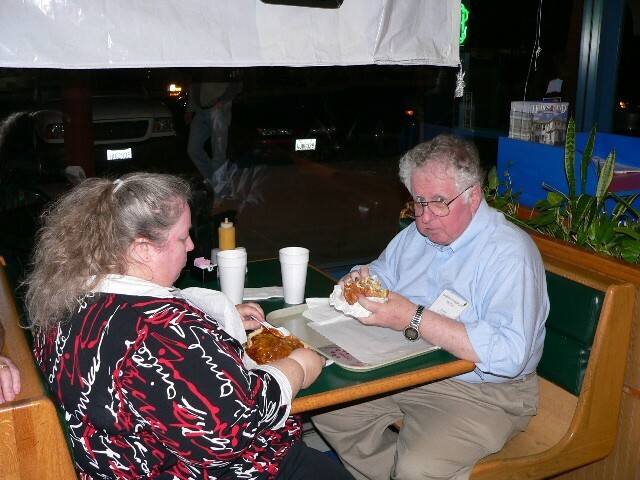 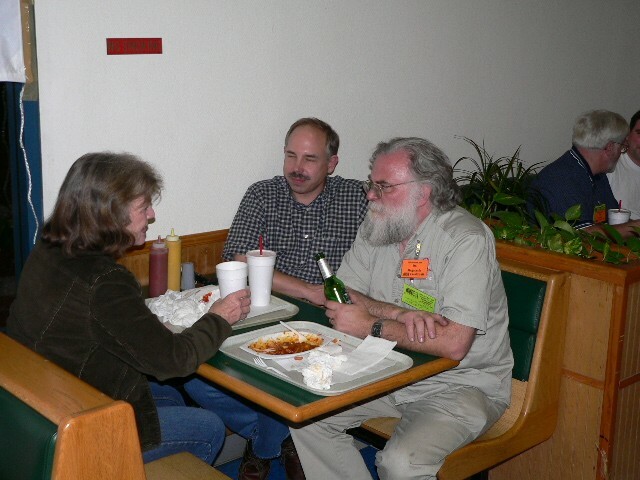 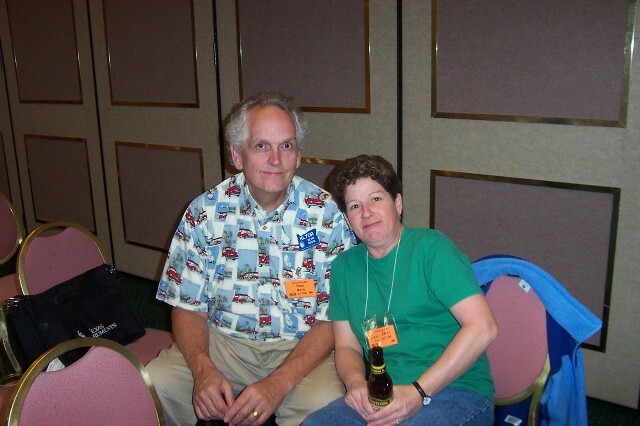 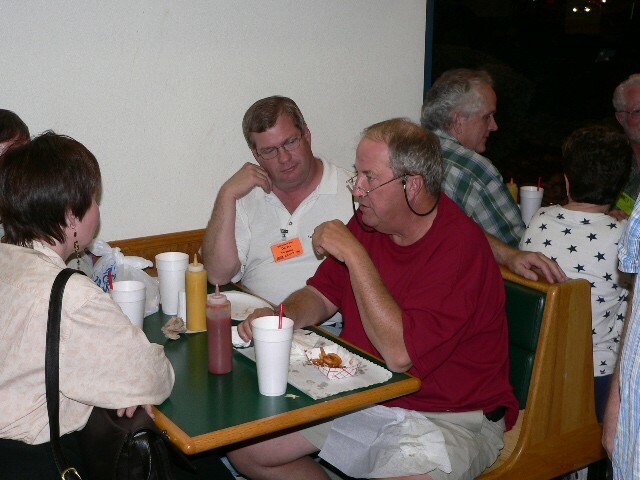 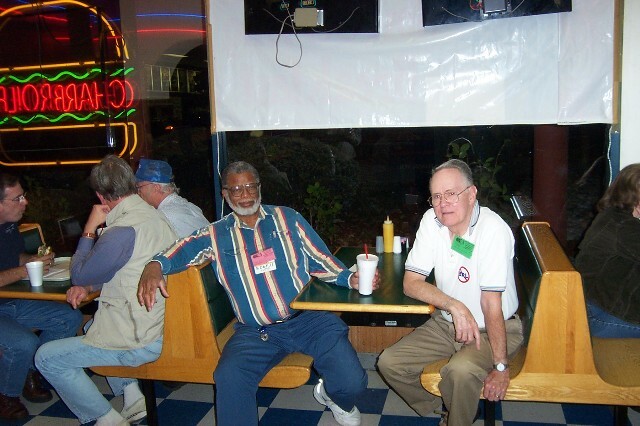 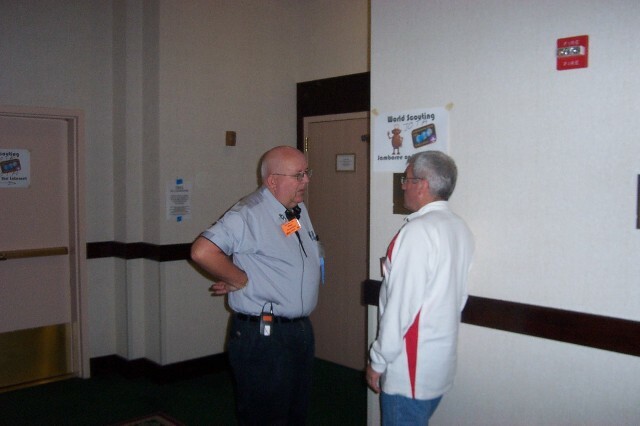 Carter N3AO and Kay N3KN Craigie, of Paoli, PA.
Carter is the QRPer, and Kay is the ARRL VP.